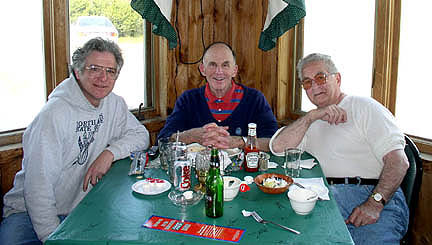 Bob Shoestock (right)...aka "Birdman"...aka "Freelance", a fellow high school alumnus, was in the area recently and stopped to visit. Leik Myrabo standing proudly beside his newly delivered Ultrapup airplane kit. We'll check in from time to time and see how he's progressing! 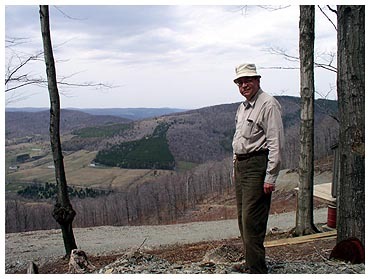 his mountain property in upstate New York. 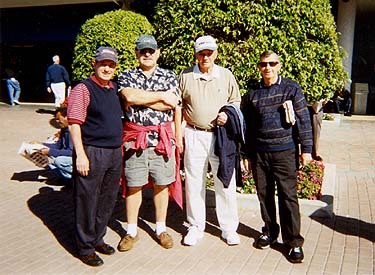 The guys are shown here visiting Don in Florida...January 2004. Pete is enjoying the freedom that comes with his recent retirement. Columbia County Airport (1B1), NY. 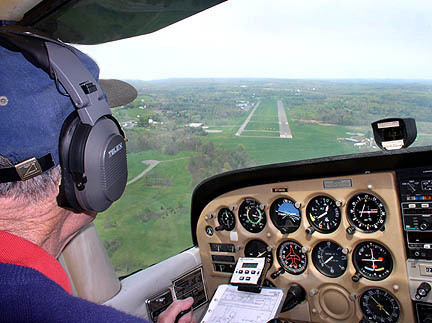 Columbia County Airport (1B1), in his gorgeous Cessna 172. 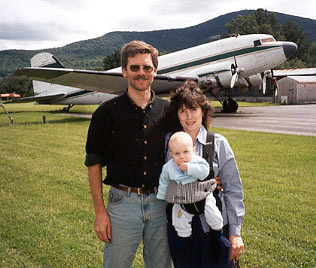 Dave, Nancy and young Andrew Stuebner at Morse State Airport in Bennington, Vermont. 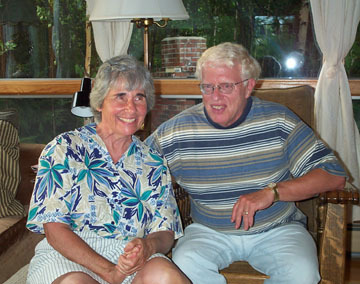 Dave and Nancy own a Cessna 140. Andrew enjoys sleeping in the back as they travel. 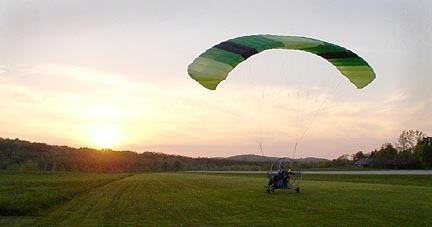 VOR-A approach into Bennington Airport. 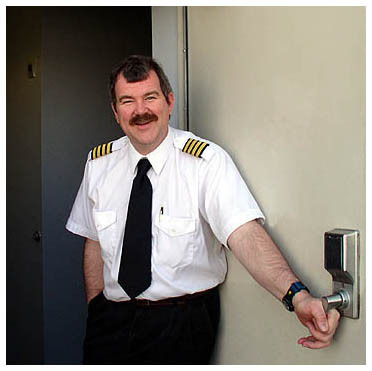 Skip King is Chief Pilot for AIR NOW in Bennington, Vermont. 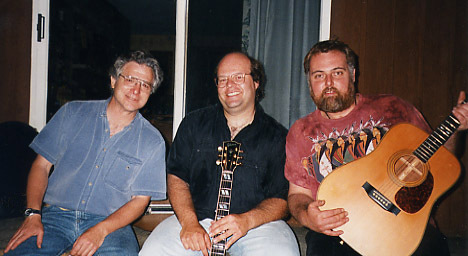 Jim Roach and Bob Cloutier at Nashua Airport (N.H.) in August 2002. 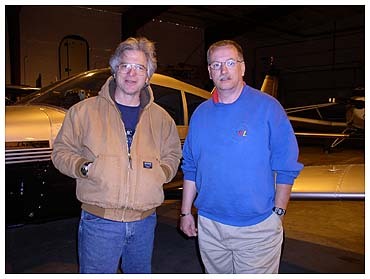 Jim (left) was taking his first helicopter lesson. 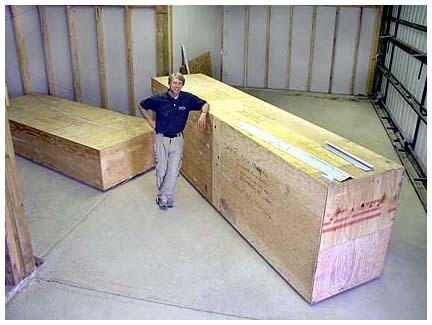 Jim drives tractor trailer trucks by trade. Nancy and Elton live on beautiful Moosehead Lake, Maine. The winters are tough...but summer makes up for it. Moosehead Lake is also a haven for floatplanes. 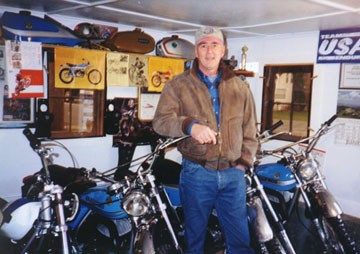 John Horahan admiring Jim Hoellerich's private motorcycle museum. 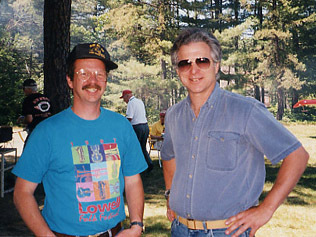 John Cooper and me at Windsock Village (NH69) Fly-In, New Hampshire. 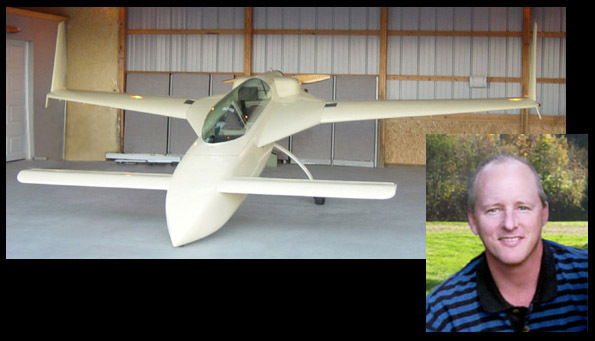 John is a Cessna 140 owner and an expert mechanic. 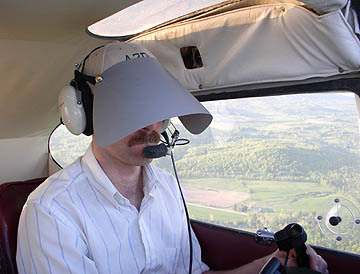 He kindly gave me his time and expertise when my plane had problems. He recently earned his A&P FAA mechanic license. Congratulations John! You're the best! at the Massachusetts College of Liberal Arts in the Media Center. when I was considering the purchase a similar aircraft. He flew my Cessna...and I experienced his. 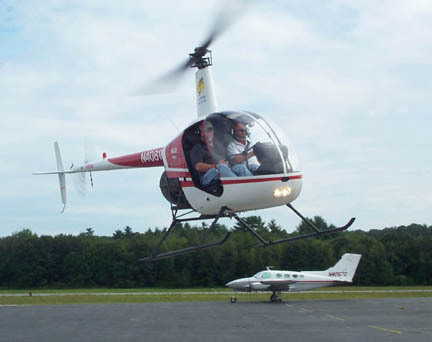 Alas, it wasn't a "grass strip" aircraft...and a rather tight fit (for me)...but we had a memorable time!